Shut the front door. 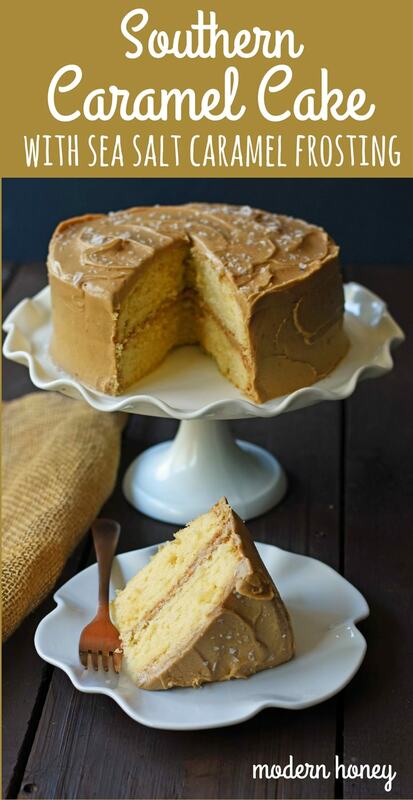 This Southern Caramel Cake is to die for, people! As you can probably tell by my blog, I kind of like baked goods. If “kinda like” meant a FULL-ON passion for baked goods kind of thing. I am also pretty picky about my cakes. I play around with my cake recipes until I get them just right and then never look back. The cake, of course, is highly important as the crumb has to be just right. But, the frosting should never ever be overlooked. Without a doubt, this can make or break a cake. 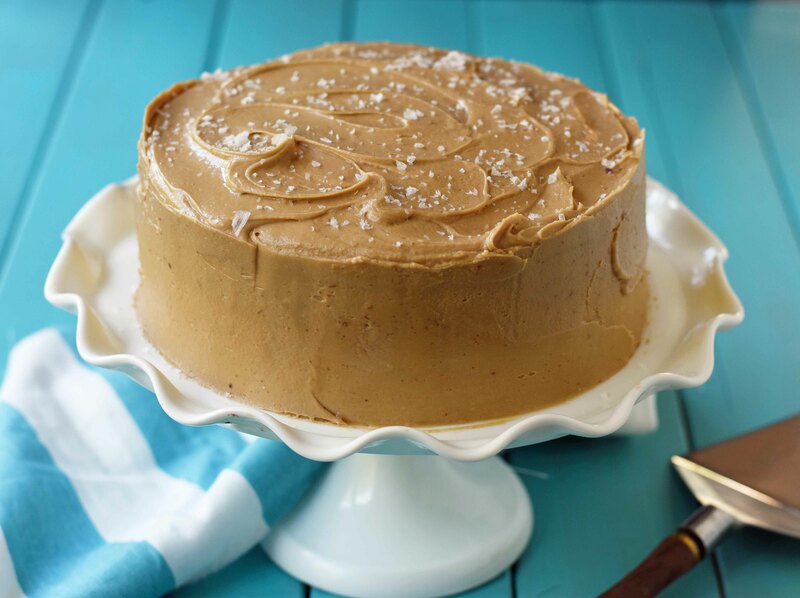 The Sea Salt Caramel Frosting on this cake is sinful and decadent. So if you read my blog, you know that I am also obsessed with the weather. When I was a kid, before I wanted to be a sportscaster, I wanted to be a weather woman. I was like 9 years old and would beg my Mom to stay up for the 10:00 pm forecast. As I became older, I begged to stay up for the weather and then the sports forecast. I am not sure if it was a stalling tactic but needless to say, I developed a real fascination with weather and sports. Go figure. Around this time of year, I have a conversation that goes like this with my husband, “how is it still 97 degrees in the middle of October.” I reply, “honey, remember that we are still in shorts and flip-flops on Halloween. We are lucky if we can wear the thinnest sweater on Thanksgiving.” Every. Single. Year. Such is life in Arizona. It is supposed to be Fall but we are stuck with May temps. However, we are just pretending it is fall and making all kinds of salted caramel and pumpkin foods to imagine what it would be like to have those crisp Fall temps. 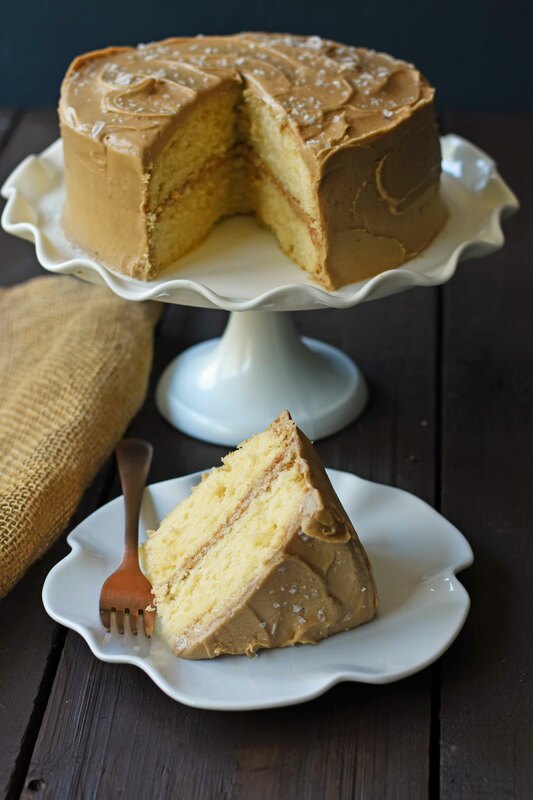 I made this cake recently and went crazy over the salted caramel frosting. It is sweet yet salty and pairs perfectly with this moist and fluffy yellow cake. 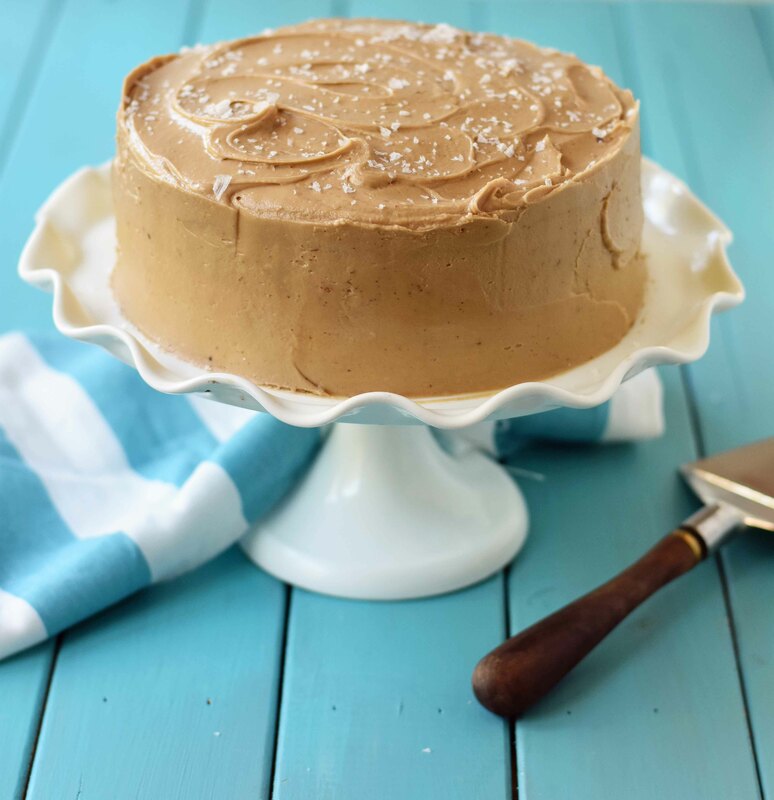 To make the salted caramel frosting, you use butter, dark brown sugar, heavy cream, powdered sugar, and sea salt. 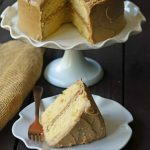 It creates the best caramel cake recipe! My favorite baking tools for baking homemade cakes are the 8-inch Wilton Cake Pansand USA 9-inch Cake Pans and an angled spatula is a must to frost cakes. I keep mine a little rustic but you can also pick up a bench scraper for really smooth frosting. Don’t forget the Maldon Sea Salt Flakes. Click HERE to find all of my favorite essential kitchen products in one place. 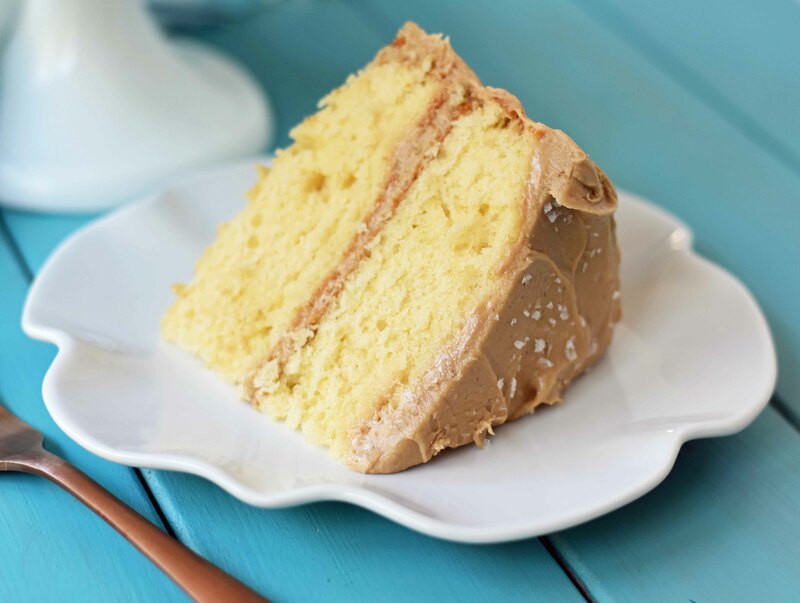 Moist yellow fluffy cake with salted caramel frosting. A Southern favorite! In a standing mixer, stir together flour, sugar, baking powder, and salt. Add the 1/2 of the egg-milk mixture and oil and beat the batter is light and fluffy. Add remaining egg-milk mixture and vanilla pudding and mix just until combined. Spread into greased pans and smooth tops with spatula. Let cakes cool. Run a knife around edge of cake pan and flip over. Frost with salted caramel frosting. Heat 8 tablespoons butter and brown sugar in large saucepan over medium heat until small bubbles appear around the edges of pan, about 4 - 8 minutes. Whisk in cream and cook until bubbles reappears, about 1 more minute. Remove from heat and whisk in vanilla. Transfer hot frosting mixture to mixing bowl and with electric mixer on low speed, gradually mix in powdered sugar until incorporated. Increase speed to medium and beat until frosting is pale brown and just warm, about 5 minutes. Add remaining 4 Tablespoons of butter, 1 piece at a time, and beat until light and fluffy, about 2 minutes. Frost cake immediately. *Frosting recipe adapted from Cook's Country recipe. 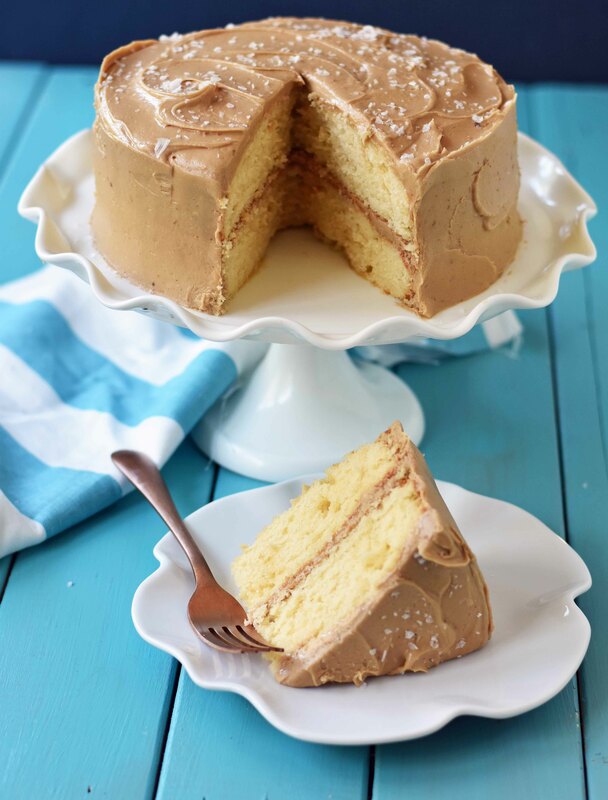 Let me know if you LOVE this Southern Caramel Cake with Sea Salt Caramel Frosting. If you are searching for the perfect chocolate cake, click HERE for the ultimate recipe. YUM! I’m want to make this cake NOW! But I’ve never used sea salt flakes. Just wondering, where do you get them?? I’m crying tears of deliciousness. From my mouth. Okay, I’m drooling, but this looks SO BEYOND AMAZING I JUST CAN’T HANDLE IT!!! Do you use the instant pudding mix (powder) or are you supposed to make the pudding first and use that? Just add the powder to the other ingredients. What type of flour do you use (self-rising, cake, sifted, not sifted)? This is the winner for the Grooms Cake, after many tastings and 10 more pounds. This recipe makes three layers, 8 inch cake pans. I did a few changes, you knew I couldn’t leave it alone. Sugar: 1 cup white, 1/2 cup brown sugar. Baking Powder increase to 3 teaspoons. Bake at 340 with wet baking strips. Baking strips help to make the cake level, and no dome effect, to be cut off. Hello, Lisa! Happy Holidays to you as well! I would suggest using buttermilk. I am such a huge fan of buttermilk and it makes such a tender crumb. If you have it, go with buttermilk! Have you ever added food coloring to this frosting? And would it be stiff enough to pipe flowers? Hi! Can light brown sugar be used instead of dark?